I use research, past experience, observation, and collaboration to provide informed and compassionate treatment." Dr. Uchison has been working with children, adolescents, adults, and families in various capacities for more than 20 years. 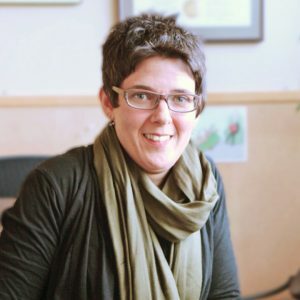 Her special interests include the connection between mental and physical health and the biopsychosocial impact of early childhood trauma. Dr. Uchison is an Oregon native who enjoys all things outdoors and active. She has a newfound love for competing in triathlons. "All of the staff here are absolutely amazing!! Dr.Barsotti was my pediatrician and I am proud to call him my children's pediatrician! My kids also work with Dr.Uchison and she has made a huge impact on my family's life! And Julia my son's care coordinator is an angel and always comes thru for us!! So if you're looking for the package deal for you're child this is it!!!"